Is it ever okay to use a flour tortilla? 1. 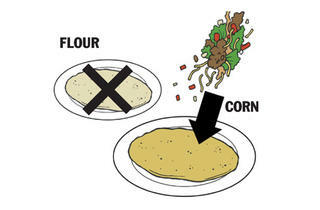 At the risk of stating the obvious: A corn tortilla’s earthy flavor actually brings something to the table; flour tortillas are flavorless. 2. 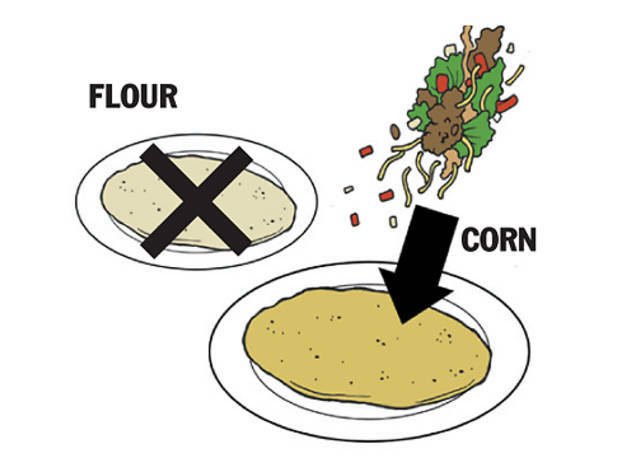 Corn tortillas have less fat than flour ones, so you can fill up on meat—not bread. 3. Chicago doesn’t do breakfast tacos—at least not well. Austin, Texas’s legendary breakfast tacos (a hybrid of traditional taqueria food and America’s idea of Mexican breakfast food—i.e., breakfast burritos) are made with flour tortillas to delicious effect. Unfortunately, there aren’t any good-enough copycats here to justify going to the dark side.